Although our specialist in-house designs ensure that all the summerhouses we sell are built to last, performing regular maintenance will help prolong their life and protect your investment. The Key Areas to focus on when Performing Maintenance are. For more detail on how you can perform the key maintenance to your summerhouse outlined above, please read on for our comprehensive guide. When you install your summerhouse, ensuring there is a space of at least 18" on all sides will help you perform future maintenance. Cleaning your summerhouse regularly will not only keep it tidy, but it will allow you to identify damage and potential issues with the building's structure early on. When you are cleaning your summerhouse, look out for splits that have opened up until light can be seen through them. Timber shakes and splits are perfectly normal property of timber. But if they have opened to the point of being able to see through the timber than they should be filled with a wood filler to prevent water ingress. If you find a rip or tear in your summerhouse roof covering, which may happen during heavy winds, you will need to replace it immediately. 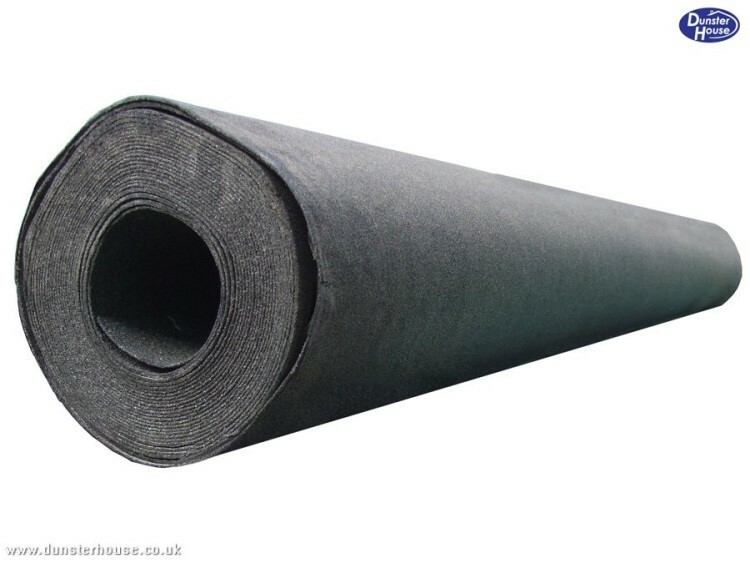 You can buy high quality roofing felt and roof shingles as extras from Dunster House. Check for dampness on the timber on the inside of the roof. Such dampness is generally caused by one of two things, either condensation due to inadequate ventilation or leaks coming through the roofing material. Check the roof material if you see dampness, if there is no damage to the roofing material then it is likely to be condensation. Even if there is no apparent leak, it is important to be aware of the lifespan of your roofing material and replace it at the end of its normal life before any damage is caused. Many people choose a concrete slab for the base of their summerhouse. However, at Dunster House, we sell Premium RapidGrid foundations that are a cheaper and more effective alternative to building a concrete base. Click here for more information on Premium RapidGrids. 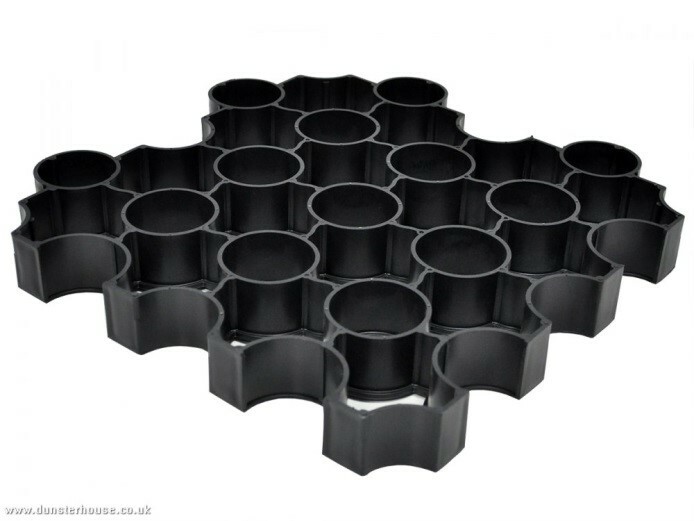 Premium RapidGrid is designed for gardens with medium firm ground. So if you are planning to build your summerhouse on a slope, you may need to consider a concrete base and the services of an expert tradesman. 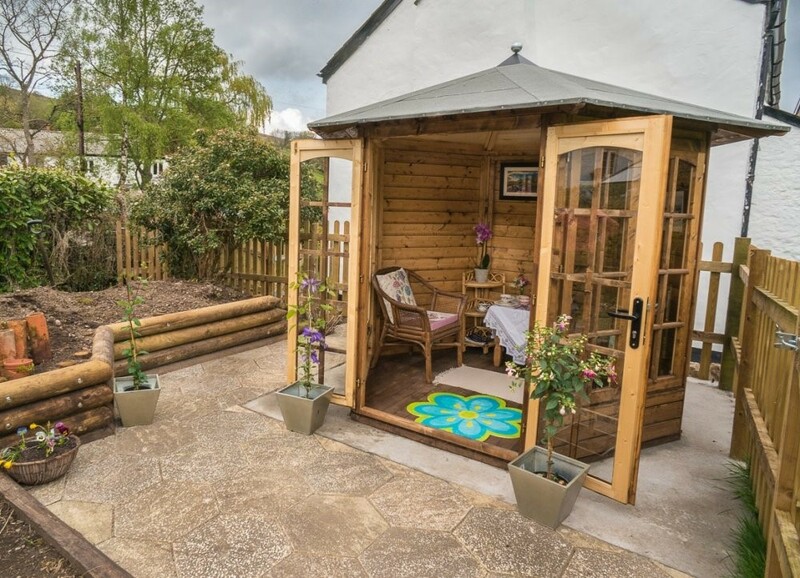 The floor bearers that support a Dunster House summerhouse are pressure treated to protect against rot and fungal decay, so are extremely low maintenance. Small shakes in the timber are not a serious issue. Any shakes or splits that you cannot see daylight through simply need to be treated with timber treatment to prevent the exposed timber from rotting. You may choose to fill any shakes which you can see daylight through with wood filler. This is to prevent water damage on the inside of your summerhouse walls. When re-treating your summerhouse, wait for any applied wood filler to dry properly beforehand. 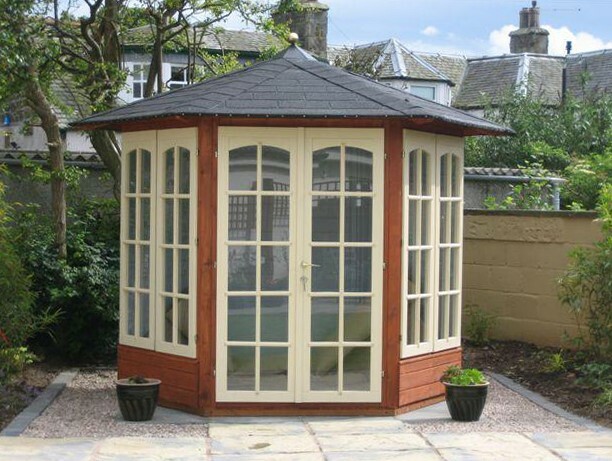 As your summerhouse's timber is continually exposed to damaging UV light and moisture, you will need to re-treat it regularly in order to preserve your investment. Dunster House sells wooden garden building treatments in an assortment of varieties and budgets in our extras range. Be aware of the lifespan of the treatment you have chosen. Reapply within the manufacturers recommended timeframe. 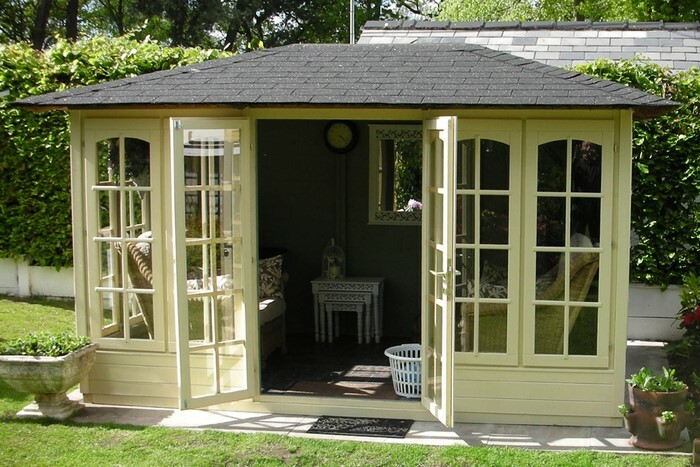 It is best to re-treat your summerhouse in the driest conditions possible, so if you can, re-apply treatment in the middle of the summer months. In order to prepare your summerhouse for retreatment, you will need to remove all dirt, mildew, cobwebs and any other built up debris first. Use masking tape around the edges of all the windows and doors of your summerhouse to prevent the treatment running. Also use ground sheets to protect the summerhouse's base. Apply treatment to one section/wall of your summerhouse at a time. Start at the top and work your way down. Wait for each section/wall to dry before repeating the process. After the second coat has dried, remove all the masking tape and the ground sheets. Spiders are attracted to prey i.e. bugs, so you need to minimise the conditions in which bugs thrive. Bugs love standing water, so where possible, you need to minimise the presence of very moist soil, puddles and even bird baths close to your summerhouse. If large puddles form nearby, try and even out the ground and improve drainage. Keep surrounding vegetation to a minimum by cutting down trees and shrubs, as well as keeping the grass mown. This will help to keep the presence of bugs to a minimum. Like standing water, bugs are attracted to lights, so only use outdoor lighting around your summerhouse when you need to and try not to keep lights on for too long. If you don't mind using pesticides, you can apply some to the perimeter of your summerhouse to discourage insects, bugs and spiders. If trees, shrubs or foliage are coming into contact with your summerhouse they will be exposing your summerhouse to moisture. Cut them back immediately. Even if trees, shrubs and foliage are only close to the perimeter of your summerhouse, take preventative action by cutting them back to a safe distance. During periods of heavy snowfall, it is important to brush built-up snow off the roof of your summerhouse. Leaving it to melt can expose it to damaging moisture and damp. You should clear built up snow from around the base of your summerhouse, as leaving it to melt around the base could have a similarly damaging effect on its floor. 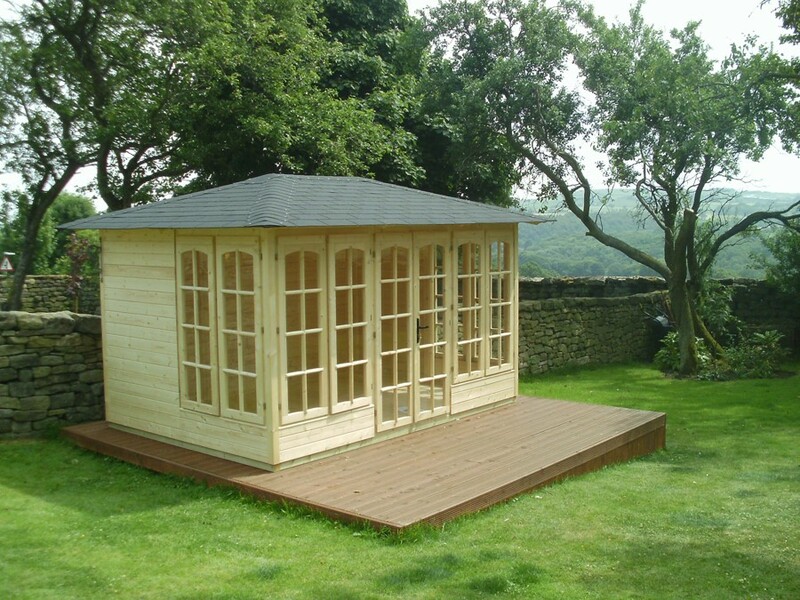 During periods of high moisture, your summerhouse can become steamed up and the condensation can cause damage. Therefore, you will need to ventilate your summerhouse regularly by opening the doors and windows on dry days.